The iGaming industry is one of the most dynamic and competitive markets, with the top-rated Internet casinos lists and rankings constantly rearranging, as longstanding brands come up with new offerings trying to match the tantalizing promises of greenhorns that keep bubbling up. Although competition is always a good thing for the customer as it provides more choice and better rates, making your way through licensing, cashout times, games, software developers and customer service can be a daunting prospect if you’re just starting to dabble in online casino gaming. Luckily for all of you, new players and seasoned experts alike, we’re here to help you get to grips with online casinos, as we cover all their minutiae and offer you a list of the very best – reviewed in detail and ranked. Most casinos have a showy display of what they offer and that makes them incredibly fun to browse through. Every once in a while, though, you may run into incoherent ones which seem to have been put together rather hurriedly. It’s those that you may want to avoid. Spotting a front-runner is not always easy, but we’ve prepared a clear-cut set of rules for you to follow. Betting money online will always put security and safety concerns in the spotlight, so let’s start with the very basics of casino licensing and regulation. Admittedly, on a global scale the entire concept of online gambling legality is a bit touch-and-go. It’s perfectly legal and very well regulated in some countries, in others – the government still has no firm stance, so casinos are walking a thin line between catering for their customers and staying clear of legal trouble. Then, there are those jurisdictions that clearly state gambling is illegal and even customers, not only operators, face fines for partaking in such activities. If we put it in simple terms where good equals licensed and bad – not licensed, telling the good operators from the bad ones is easy. Simply scroll down to the bottom of the page and you’ll see a host of safety nets put in place to protect your hard earned money. Look for the logos of the UK Gambling Commission or some of the jurisdictions on its whitelist like Gibraltar, Isle of Man, Antigua and Barbuda, and more. Other licensing and regulatory bodies you may come across are the Kahnawake Gaming Commission and the Malta Gambling Authority. Newly launched websites will often display a Curacao eGaming license. Before making a registration and depositing funds to your casino wallet, you should research how your personal and financial data will be processed. Licensed and regulated casinos will offer you top-notch protection with state-of-the-art encryption, secure servers and firewalls. Before registering, depositing, and sharing any personal and financial data to a website, always look for the secure connection symbol in the address bar and look up what kind of security protocols the website uses. SSL (Secure Sockets Layer) and TLS (Transport Layer Security) are the most popular protocols for ensuring safe processing of data, so if a casino has such a certificate, you can have complete peace of mind that all sensitive data is handled securely. The encrypted connection between a browser and a server which is ensured by the SSL / TLS protects all data from ill intentions of third parties. Speaking of third parties, not all are necessarily malicious. Quite the opposite, independent third-party organizations are responsible for testing and ensuring that a casino’s Random Number Generator is functioning properly, guaranteeing fair and unbiased outcome of the virtual games. Agencies such as iTech Labs and Gaming Laboratories International (GLI) issue certificates to casinos which in their turn publish regularly the reports of the tests that have been carried out. These reports also contain information about the house edge of games, ensuring table and slots games are fair for all parties involved. Is Reputation a Good Indicator? Considering you’ve come to a website such as ours where we publish online casinos reviews, you’re probably aware that a casino’s reputation and players’ opinions can be a reliable indicator of how trustworthy a website is. However, you should always take what you read on the Internet with a grain of salt. Users are much more inclined to voice their concerns over even minor inconveniences than express gratitude and reflect on their positive experiences. Gather as much information as possible from different independent sources before you deem a casino worthy or not of your time and money. When it comes to big brands, the fact that they have been in the industry for a long time could be a good indicator of how reliable they are but be extra careful about copycat sites that will use a big casino name with just an extra letter or number, and don’t forget that new up-and-coming online casinos which are licensed and regulated can provide quality games and secure software. Unrealistic promises – Yes, we all want to become rich in a heartbeat. But the realities here are that even the most successful gamblers have a long time at it. Instead of promising riches, your average virtual casino focuses on delivering an entertaining user experience. Bad reputation – There is no online casino that has done something inconsiderate in the past that would not come up in a regular search. 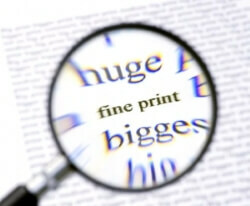 A quick sifting through Google results would reveal all past and recent issues an operator has had. Make sure you pay attention to the negative press. Software – A little further, we’ll discuss mainstream software providers that power the best casino sites. If an operator is particularly reluctant to disclose what software they’re running on, there’s a good chance something is not right. With so many options out there, it won’t hurt you to keep clear of such places. It’s hard to say no to the little incentives the chosen casino establishment have prepared for you. You’ll hardly find a decent operator where bonuses and promotions are not readily offered. The front-runners will put some extra effort in catering to both existing and potential customers. And there seem to be no limit to the offers either. Short of sign-up offers, you will browse through a number of seasonal, weekly and event-specific bargains. These tend to change quickly, so it may be advisable to keep your eyes peeled for the latest offers in the promotion page. You may opt to subscribe yourself for a weekly e-mail instead and just check your inbox every so often. Nearly all top-rated casino sites will have a sign-up bonus, which will offer to match your initial investment up to a certain amount. Usually, sign-up bonuses are also referred to as match-up bonuses or deposit bonuses, because they reward a percentage of your first deposit. And this being a casino, you will often find a few extra spins on top of the heap of money you have mustered to serve you in your gambling forays. You’ll do well to watch out as most such offers, tantalizing as they may seem, come with a set of conditions and an expiry date. It’s important to read the fine print. Apart from the sing-up offers, there are numerous promotions that merit your attention. There is virtually no limit to the capacity of an online casino to introduce bargains. You have your weeklies and your monthlies, one-off specials and event promotions. And also, free spin crazes and Funky Friday for the jaded gambler. As we’ve mentioned before, an virtual casino will seek to establish a meaningful relationship with its customer base. In most cases, you’ll rake up points simply by playing at the casino. Different games will award a different number of points. These points transition into loyalty levels. Loyalty points can be put to good use, too! Apart from rising through the ranks, you may also get some freebies and additional goodies. Some casinos have their own merchandise and allow you to swap points for whatever is on offer. Other casinos allow you to amass loyalty points and qualify for a VIP scheme. All the best casino sites will shower you with bonuses, one-off offers, exclusive bargains, and daily monetary incentives. And you will do well to benefit from the more promising ones. However, the thought of an immediate profit or vast wealth should not blind you. Pay attention to the so-called wagering requirements, which dictate when and how a bonus is allocated to you. 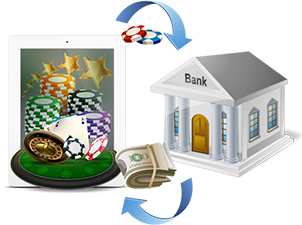 All good online casinos will ensure that their requirements are listed and well-explained. Common foibles when dealing with bonuses include that players often forget about expiry dates (ranging from a week to a few months). Another bugbear is that there is a play-through requirement, which demands that you wager your bonus (and possibly deposit amount) a certain number of times – 25 or more. If you try to withdraw preemptively, you may lose this amount! If you are a newly-fledged gambler, then you may suspect that casinos are all about roulette and card dealers. However, on top of Blackjack, Baccarat, Craps, Pai Gow Poker, Sic Bo, and a slew of others, there are the adventure-style games developed by established names in the industry. Undoubtedly, you’ll base your choice of an online casino on how good the games are. You may pick from all sorts, including table games, live games, video poker, jackpots, slots, and casual games for the breezy users. Also, if you are playing at a decent gambling house, you’ll not have to worry whether a game will launch on your smartphone, for example. Another praise-worthy move from the top online casinos is the availability of demo versions. Many operators allow you to cut your teeth on free practice versions where you don’t have to pay a dime and get an insight into how the machinery of gambling really works. It’s a great way to kill some time, and if you’re prepping yourself up for a glorious future in Internet gaming, a decent way to garner an advantage over the house. Table games tend to appeal to the more considerate type of players. Most commonly, you get your hands on staple products, including Blackjack, Three Card, Video Poker, Baccarat, and Roulette in all their iterations. With table games you’ll not get as many bonuses and incentives as with slots. On the other hand, it would appear that you have much more say in how your money is managed and you can narrow down the house’s advantage by making solid decisions. If pressed, we’ll argue that by sticking to basic tactics in popular table titles, you stand to make a better return on your investment than simply pressing a button at slots (remember that slots are underpinned by a Random Number Generator). 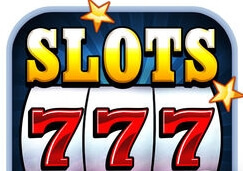 Slots are hands-down the most popular segment of games out there. They are engaging, and make sure that you are having a good time. Some of the most attractive games shower you with constant reminders of how well you are doing, even if your bankroll is actually crawling. It feels like a highly-rewarding experience and that is why the majority of casino clients opt for those. Understandably, the top rated online casinos have done an excellent job of integrating anything from the bare bones classic 3-reelers to the more sophisticated 3D-slotters and recently i-Slot games which offer a changeable storyline. If you’re looking for a good time, you couldn’t possibly go wrong with slots. Progressive jackpots are popular slot type of games which often amass eye-popping amounts of money. Understandably, you’ll want to have a go because you may turn a pittance into fortune. On occasion, someone will win, and the counters will reset. They may take some time to accumulate enviable sums anew, but inevitably they always do. Live Casinos In Your Living Room! Live casinos are an extension of all best casino sites. They contribute to a personalized experience, which you as a customer would appreciate. The setting of a live casino varies – it may be a special studio or a land-based casino which invites online high rollers to bet alongside the visitors at the land-based venue so that you may join a table with players who are physically present while you still play from the comfort of your home. Whatever you choose, you will enjoy an immersive environment. Understandably, a live casino is not a cheap affair. Still, online casino sites manage to strike a balance between costs and a decent choice of titles. Most often you will pick from roulette, blackjack, and baccarat. All games will come in several iterations. As live casinos have been around for a fair while now, you can expect other games, such as Hold ‘em and Three Card Poker to be common sights. Some even offer Sic Bo, which is one of the handful of dice games to feature a live dealer. If at any point you are not happy with how a game has turned out, you may always request a mediation. Usually, all live casinos have an assigned intermediary, known as the pit boss, who takes care of disputes. When talking about games, there is a number of existing game creators that provide their products to casinos. 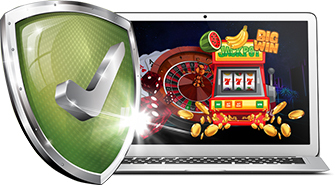 You may see Playtech, NetEnt or Microgaming as some of the most popular ones in the Europe. There are others, of course. Developers have their own signature, which sets them apart from the rest. Some rely on more 2D-looking graphics whereas others want to add a sort of gritty realism. Bottom line, it is rather easy to spot what developer has made which game. And the water logo helps, too! NetEnt has powered the first 3D slots. They stand strong where 3-reelers and 5-reelers are concerned. Many of NetEnt-developed games can be tested in demo so you can get a few hours under your belt before plunging into the real-money action that follows. Hall of Gods is perhaps the most successful progressive jackpot game ever, and the company deserves a noteworthy mention for other game titles such as Guns N’ Roses, Pandora’s Box and Dracula. Playtech is a big name in the European Casino market. The company is well-represented in all mainstream genres of online gambling. Some of its most popular titles feature heroes from the DC Universe. All slots games are based on a random number generator (RNG) and the fairness of the game is ensured by external auditors. Microgaming has been on the market for a long time. They have over 1,000 games and bring out 2 new games every month. Microgaming likes to help new players, too! Comprehensive game helpers ease the learning curve for rookies. A noteworthy feature is autoplay, which allows players to sort out matters in real life while the game continues uninterrupted. Naturally, there is a cohort of developers that are well worth a mention. Mostly supplying American casinos, Real Time Gaming (RTG) are the bread and butter of the top rated online casinos in the United States. In-house developers may not constitute the majority of game creators, but there are a few exemplary picks out there that have done a sterling job of promoting their own, unique games. Make a mental note of only sticking with in-house developers as long as they are part of an established casino and be weary of new casinos. Moving money in and out of online casino sites is certainly a concern for the majority of their clients. Without a fail, it will also be uppermost in your mind as well. Most casinos tend to facilitate the process as much as possible, verifying your information before withdrawing. Now that you have registered at a decent online casino, you’re all set to deposit some money and get your game on. Most operators introduce you to a list of available banking options as soon as you finalize your account. You’ll most commonly get to choose between debit and credit cards. You may also opt for additional extras such as e-wallets and pre-paid cards, which add a layer of security if you feel disinclined to share credit/debit card details. Deposits are usually instant, but this may vary across venues. Almost certainly you won’t be charged any fees, but some may still apply. It’s well worth checking. Also, you will have a minimum and a maximum deposit amount. Expedient payment is a must with any online casino. 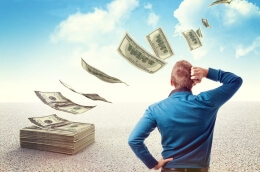 You may expect fewer withdrawal options on some occasions, albeit you will almost certainly be allowed to withdraw the same way you have deposited. Some jurisdictions (thankfully not the United Kingdom) take a rather hawkish approach to online wagering and this makes the life of wagers willing to withdraw their winnings difficult. For the most part, it takes up to a few days to get your money, depending on the option you choose. Withdrawing with a bank transfer may stretch up to several days and if you want a check delivered by mail, you could wait two weeks. As with deposits, there will be a minimum and a maximum amount you can withdraw at any one time. Again, you will do well to watch out for any associated fees with your withdrawal. However, the flagship casinos these days charge absolutely no fees on any of their withdrawing options. PayPal is the equivalent of wrap speed ahead in both depositing and withdrawing. Assuming there are no snags, a casino will move the requested amount to your PayPal account instantaneously. Not all operators offer PayPal, though. Skrill is just as popular as PayPal. If PayPal is not available as a payment option, you will surely have Skrill and vice versa. Neteller – Another favored e-wallet, which adds to the plurality of the sector. For the sake of personal preference, you may want to stick with it over any of the other methods, when applicable. Credit/Debit Cards remain a decent way to move your money around. Such transfers could take up to five business days nevertheless. You may withdraw the same way you deposit. In most cases you are charged no fees. These days there are no withdrawal fees at the top online casinos. Some e-wallets may disqualify you from a sign up bonus. Withdrawing before you have fulfilled a bonus conditions will disqualify you from the offer. Deposits do not require to validate your ID. Withdrawals are done through a casino cashier. With the progress of portable technologies, many top online casinos have decided to adapt their offers. Today, you can access the mobile version of a casino from your smartphone’s browser. And the best thing about that is you can still make use of the full range of services offered at the desktop website! Whether you play mobile or desktop makes little odds, because you still use the same account and share the funds available to it. 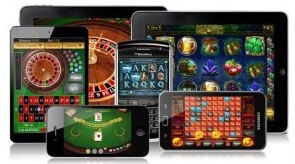 Native mobile apps are another casino websites staple product. While browsing the mobile version of a website is perfectly fine, you can still benefit from a few helpful extras should you choose an app instead. First, much like the browser version you will have access to most, if not all, online games and their demo versions. In the past iOS users used to hit a wall when they tried to play through their smartphones, but the advance of HTML5 has largely reshaped the landscape. Some venues cater to other operating systems, including Windows and Blackberry. What Else Do We Get out of Mobile? Whether you’re an Android or iOS user, there’s still quite a bit in the way of benefits! Apart from the single account you will be sharing with the desktop version, you may find it easier to play in odd moments, while commuting for example. Convenience is key with this sort of gambling and casinos are interested in providing a continuous experience whereby you switch between devices with an ease. On top of that, by signing up for a mobile app you could be entitled to an exclusive mobile bonus! And just to get a taste of how nifty these mobile apps are, you’ll likely be allowed to take care of your bankroll in full via a mobile app, withdrawals included! And ultimately, any app put together by an online casino that is worth its salt, will run smoothly. The best casino sites are in the business of turning a profit on chance, and there are no two ways about that. However, they do so with consideration for their players’ well-being. Responsible gambling will be featured at the footer of every top rated online casino. There is a variety of measures put in place to hamper destructive gambling behavior. From rooting out minors to using complicated algorithms to identify players that indulge in reckless spending. Put bluntly, even the best online casino would be happy with someone losing a pot. But then again, they would raise a suspicious eyebrow if said person continues to splurge hastily. Yes, your well-established operator will make a conscious effort not only to identify strong gamblers, but also gamblers that are grossly misusing their bankrolls. More than that, online gambling sites will also direct you to free-of-charge help lines where you can get help if you feel you are sliding into recklessness. If you feel that the temptation is too great, you can always send a line to customer support, asking them to limit your betting privileges. You’d still be able to withdraw any winnings you may have. Whether you realise it or not, what you are looking for is a no-hassle gameplay experience. Instead of slogging through incoherent offers, as an average customer you would much rather want to find your bearings in a few simple clicks. It is obvious advice, but you should try and choose an online casino where the design furnishes answers to essential questions at a glance. Having all important sections available on the home page certainly helps and builds your affinity for a given operator without so much as a single spin. Proper user interface (UI) goes some way to demonstrate an operator’s commitment. You can rely on quick and seamless transition between different sections of the website, paired with easily accessible host of necessary features, be that a live casino, a mobile app, or a specific promotion. However, this colourful cacophony on your screen makes sense only so long as it has been put well-together. At the end of the day, having fun is what matters. True, all top online casinos will try to hone the user experience in the hopes of keeping you engaged and at it. However, as long as you are not overindulging and enjoying yourself, there is no harm done. Plus, there is always the possibility on turning an extra profit if you decide to transform yourself into the consummate professional. Nevertheless, chasing after your losses could be a slippery slope. If you are in it for the money, then start your betting forays with only as much as you can afford and want to lose. Anything above that sum could prompt inconsiderate play. Apart from the traditional type of online casinos, there are those that have been built around social media. Social gambling is definitely a worth-it choice for those among you who are rather less inclined to commit money to actual wagering. If you like to indulge in recreational gaming when commuting or just have some extra time on your hands to kill, this option may be right for you. Plus, you get to brag to your friends and inevitably publish your exploits on social media. Social casinos are definitely an amusing way to experience authentic gambling thrill without risking any hard currency. Admittedly, you can build affinity towards operators and there is hardly any shame in that. Affinity is a good thing and it could eventually land you in a loyalty or VIP programme. But there could be objective yet exclusive criteria which you may use to identify what works best for you. Opting for the country: In choosing your personal favorite, you might want to consider several things. For starters, you need to be familiar with local legislation. On top of that, you would need to double-check where your pick is located. For the most part, you would not be liable even if you gamble in a place where such activities are banned. Payments: Selecting the right country may also bestow other benefits or help stave off easily avoidable mishaps. Payment methods and withdrawal limits can be in fact tied to the place where you are playing from. The United Kingdom has been over generous in how it treats top rated casino sites but places like the United States make it somewhat pesky for gamblers to clear a deposit or claim their winnings. In this exhaustive account of online casinos’ subtleties, we have covered a number of essential aspects that can serve as your gambling guide in the pursuit of a great casino experience, ensuring that you will take your next wager with a bit of foresight. Naturally, each point we’ve discussed is lengthy at best, and it would require your own effort to strike a balance between identifying winning casino game strategies, entertainment value, and making sense of the metrics used at online casinos. If you love trying your luck and you’re rather fascinated with the notion of multiplying your riches, make sure to use our excellent guidebook on how to select your private safe and reliable casino. You stand to make a pretty penny!